The clash of interests in Uttar Pradesh’s Samajwadi family isn’t due to ideological differences. Like in a normal, extended joint family, the clash is for the control of cash. Over the past many years, before the arrival of Akhilesh Yadav in politics, his father Mulayam Singh Yadav and uncle Shivpal built up a system of clientele. Politics for them, like all politicians of every hue and colour, was meant for generating resources through patronage and protection. The resources thus generated were ploughed back into party politics to keep them ahead of their political rivals like the BSP and BJP. Over the past many years, Mulayam and Shivpal, with the help of transport operator-turned corporate wheeler-dealer-turned politician, Amar Singh, perfected the art of enriching themselves and their clientele. This ensured that even if they lost power, they could hope to bounce back swiftly. It was an ideal situation, an ideal arrangement. Enter the tempestuous Akhilesh; a young man with modern education, he was restless to do something for the State that could catapult him to national politics and project him as an ideal PM candidate. Time was on his side, but the arrangements of power-sharing in the State government, set up by his father and uncle to perpetuate their old, time-tested patron-client relationship, came in his way. So, he set out to set up his own base of clientele. Initially, Mulayam and Shivpal looked the other way. But as elections neared, they literally panicked when Akhilesh dropped Shivpal’s favourite ministers like Gayatri Prajapati and others who were reportedly main channels for collection of funds. Further, Akhilesh is said to have disturbed certain private cash arrangements of Shivpal. There are many stories emerging from Lucknow. They disclose that Akhilesh reportedly shifted PWD Ministry funds to the Chief Minister Development programmes, so Shivpal did not have funds to settle the accounts of those contractors who had completed their projects. 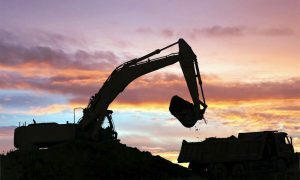 It is reported and alleged that the booty from the work allotted had already been collected at the time of distribution of “mobilisation fund” and contractors were knocking the doors of Shivpal for recovery of their dues. Second reason for tussle is that Mulayam-Shivpal duo wanted to allot the UP power management to a Mumbai-based industrialist, who is already in the energy sector, for a consideration of Rs. 20,000 crore, whereas Akhilesh reportedly briefed his father and uncle that competitors are ready to manage UP power in Rs. 8-10,000 crore. So, why pay the extra Rs. 10-12,000 crore. Third, Shivpal reportedly wanted to allot 400-acre land at Noida to a Haridwar-based yoga guru to develop a world-standard Yog Peeth. Fourth, Akhilesh advisors informed that a TV tycoon, along with Amar Singh, had set his eyes on the Lucknow-Ballia highway project for a huge amount that Akhilesh resisted. So a showdown was but inevitable. Mini Banerjee reports further. I cannot leave Shivpal Singh Yadav and Amar Singh. If Amar Singh had not helped me, I would have been in jail by now. And no one can separate Shivpal Singh from me. Akhilesh, listen, do not allow pride enter your head. Learn to listen to criticism. Akhilesh would remain as Chief Minister and Shivpal Singh would be State president. Let Netaji install a Chief Minister who feels is honest … I will act against those who conspire against me. If there is any conspiracy against Netaji or Samajwadi Party, I will act against it… Amar Singh had planted story against me calling me Aurangzeb. Recently I went to meet the Chief Minister. He said he would float a party and ally with some other party in 2017 elections… I can swear by Ganga Jal. This dalal was everywhere in Akhilesh’s marriage. I respect Mulayam Singh ji… I respect Akhilesh … the son of Netaji … but am not in talking terms with the Chief Minister. In the politics of Samajwadi Party, Mulayam Singh is the lifeblood till now. Jahan Akhilesh, wahan Vijay (He said in his first letter released on Oct 23). I am with Akhilesh in his dharamyudh (He said in the second letter). THE continuing strife within the Mulayam Singh Yadav dynasty, playing out in public for the past six weeks, indeed carries echoes of both the great Indian epics. If, like the Mahabharat, it has pitted nephew against uncle and cousin against cousin, the person being blamed as the cause of it all is a stepmother, as in the Ramayan. Call it the fructification of the mythological curse on Yadu Vansh—that they will not be able to rule for any length of time—the Samajwadi Party is appeared to have pressed the self-destruct button. In this endless saga of father fighting son and brother backstabbing brother, the 25-year-old party is at the crossroads. It will either crumble to its bitter end on the banks of the tranquil Gomti, or resurrect itself phoenix-like in a new avatar. “An epic confrontation combining the palace intrigue of the Ramayan and the fratricidal rancour of the Mahabharat is unfolding in India’s political heartland,” says Dr Namita P Kumar of Giri Institute of Development Studies in Lucknow. “This will lead to a vertical division of the party. When will it happen…it will happen before elections or after…only the time will tell,” she said. IT was in the late 60s when Mulayam Singh was first elected as a legislator from Jaswant Nagar in Etawah District. Much water has flown down the river since then. In these five decades, the Samajwadi Parivar has made its presence felt in Indian polity with 17 members of its family in public life today. Brother, son, cousins, grandsons, granddaughters and many others in the family are in different posts, ranging from the Chief Minister to MPs and from Minister to block pramukh. At this time of crisis, the family stands divided. Here’s who stands where. First elected as MLA from Jaswant Nagar (Etawah) in 1967, he was the leader of Opposition in both Vidhan Sabha and Vidhan Parishad. Mulayam was elected MP five times. He was the Chief Minister of Uttar Pradesh for three terms (1989-1991, 1993-1995 and 2003-2007). Akhilesh’s wife, who has been a non-controversial face in politics for the last seven years. In 2012, after Akhilesh moved back to UP to take over as CM, Dimple was elected unopposed from Kannauj, her first win. In 2014, she retained the seat. Mulayam’s cousin who was sacked from the party for writing a letter asking party workers to support Akhilesh. In that letter he had written: “Jahan Akhilesh, wahan Vijay”. 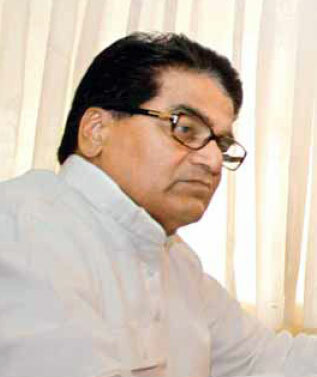 Ramgopal began his political career in 1988 and was party’s general secretary since 1996 before he was expelled on October 23. In 1992 he was sent to Rajya Sabha as MP and had been elected to the Lok Sabha, in 2004. In this family feud, he sided with Akhilesh apparently because of his opposition to Amar Singh. Ramgopal Yadav’s son, Akshay won the Firozabad Lok Sabha seat in 2014. He has kept away from party activities and only made an appearance after cousin Arvind Singh was expelled by Shivpal, saying action should not be taken against anyone without verifying allegations. Dharmendra, son of Mulayam’s brother Abhay Ram, is a second-term MP from Badaun. He is the key organizer of the Saifai Mahotsav. He is considered a staunch supporter of Akhilesh and travelled with Akhilesh in his car when they came for the crucial meeting on October 24 in SP office. After Mulayam Singh Yadav vacated his Mainpuri seat in 2014, his grand nephew Tej Pratap alias Teju successfully contested the election. Tej Pratap is married to RJD leader Lalu Prasad’s daughter. Dharmendra’s twin sister, Sandhya won the election of district panchayat chair-person only this year. She won the elections under the supervision of Ramgopal and Dharmendra. Mother of Tej Pratap and wife of Ranveer, in whose memory Samajwadi Party organizes Saifai Mahotsava, Mridula is the block pramukh at Saifai, a post she was elected to in 2015. The son of Ramgopal’s sister, who was elected MLC only two months ago, Arvind became the first casualty in the ongoing feud. He was sacked from the party a day after Shivpal took charge as State president for alleged remarks against Mulayam. He was earlier block pramukh of Karhal. Billu is Arvind’s brother and succeeded him as block head of Karhal in the panchayat polls held last year. Shivpal, the youngest among the Yadav brothers, started his political career in 1988 as chairman of the District Coopera-tive Bank in Etawah. In 1996, after Mulayam became the Defence Minister, he gave his seat Jaswant Nagar in fiefdom Etawah to Shivpal. Shivpal became State party president in 2009 but was replaced by Akhilesh in 2011. He had good relations with Ram Gopal till 2014 when both crossed roads over the nomination of candidate for Firozabad bye-election. Mulayam favoured Ramgopal’s son Akshay over Shivpal’s son Aditya. On September 13 this year, Shivpal was made State party president, which brought the family feud in open. Son of Mulayam’s second wife, Sadhna, Prateek stays away from party activities and politics. Insiders say it was not Prateek but his mother Sadhna who wanted her son to join politics and contest Lok Sabha election. Some Mulayam supporters from Azamgarh even staged demonstrations at the party office in Lucknow demanding a ticket for Prateek. The episode ended after Prateek did not show any interest. Aparna is serious about politics and Shivpal is believed to have helped Aparna get an Assembly ticket for 2017 elections from Lucknow Cantonment. She runs NGO, B-Aware and had praised Narendra Modi on several occasions. A classical singer, Aparna has even sung songs for the party campaign, composed by Bollywood musicians. Generally, he stays away from the limelight but in the family feud he is a regularly seen with Shivpal, his father. In the current controversy, he was present when his father addressed his supporters at midnight outside his residence. He is set to contest the next election from Jaswant Nagar. The husband of Mulayam and Shivpal’s sister, Kamla Devi, Dr Ajant Singh Yadav enjoys more power than Mulayam’s immediate family members in Etawah. After he retired as principal of Manbhawti Jansahyogi Inter College at Basrehar in Etawah about four months ago, he was elected block head of Basrehar. Son of Mulayam’s brother, Rajpal, Anshul succeeded his mother Premlata to the post of district panchayat chairman this year. He is a strong contender to get an SP Assembly ticket in the coming polls. Dharmendra’s brother, Anurag, has a dairy business in Lucknow. He has been the national secretary of the SP youth wing, Yuvjan Sabha, for several years now. The irony is that this extended drama of political fratricide is happening just months to go before the assembly election in the State, tentatively due in February-March 2017. 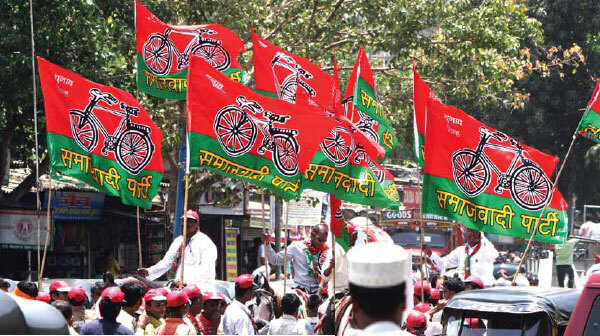 Worse, the Samajwadi Party seemed to have almost everything going for it. Akhilesh had things under his control. After the party suffered an ignominy of a wipe-out in the Lok Sabha election in 2014, where only members of the Yadav clan could win five seats and others were wiped out, it was believed that the Chief Minister had brought the development agenda back on the centrestage with fast-paced work in the infrastructure sector followed by a publicity blitzkrieg. This statement opened a Pandora’s box with the first charge coming from Mulayam’s cousin and expelled leader from Samajwadi Party, Ram Gopal Yadav, who asked what does Netaji want to indicate by saying that Amar Singh saved him? “A case was there in the Supreme Court and the CBI was the investigating agency. How can an individual save him?” he asked. “Does Netaji want to say Amar Singh managed the Supreme Court and CBI?” he asked. Vishwanath Chaturvedi ‘Mohan’, who had filed a PIL in the Supreme Court, agrees that whatever Mulayam Singh is saying is true. 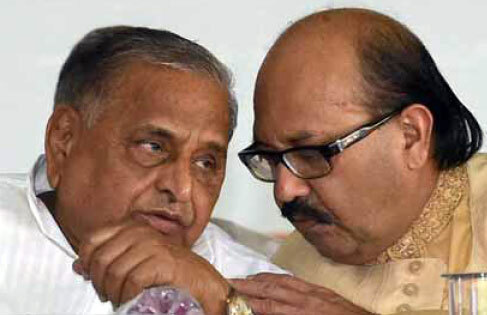 Mulayam Singh has spilled the beans, it was Amar Singh who had managed things. The Supreme Court had asked the CBI for a primary probe. “After going ahead in the case and filing a status report, the CBI started showing disinterest. Later, I moved the Supreme Court with a plea to ask the CBI to press ahead with the probe,” he said. This application of Chaturvedi was dismissed in September this year. “But the case is still pending in the Supreme Court,” Chaturvedi said. The impact was everywhere to be seen. People on the streets and leaders of different political hues admitted that this boy (Akhilesh) has worked and could have done better if he was allowed to work independently. The father and his chachas have created hurdles for him at political and government level, they whispered. There is a belief that despite being the Chief Minister, Akhilesh did not have the choice to select officers of his choice for CM’s secretariat. One or two ‘fixers’ are reportedly there in the CM’s office and are considered to be people of Mulayam’s choice. Insiders say Akhilesh was slowly coming out of his father’s shadow. He built his team of officers and leaders who were delivering results. This probably rattled his chacha Shivpal Singh Yadav. He knew if Akhilesh stays in party, his ambition of becoming the Chief Minister are gone. Akhilesh loyalists say Shivpal is a pawn in the hands of Sadhana Gupta, whom Mulayam had married after the death of Akhilesh’s mother, Malati Devi. Sadhana is accused of using Shivpal to unsettle Akhilesh’s position so that her son Prateek, now into real estate, can take over along with his politically ambitious wife Aparna. INDIA’S political history shows that once a parent passes on the mantle of leadership to the next generation, usually the chosen successor gets unstinted support from the ruling family. But, Mulayam Singh having anointed son Akhilesh as heir and successor seem to have come under what cousin Ram Gopal described on Sunday as “Asurik shakti” (demonic forces) to politically damage his own son. October 23, 6 am: Ramgopal Yadav shot off a letter to party workers on Sunday morning, asking them to side with Akhilesh as party president Mulayam Singh Yadav and Shivpal Yadav were corrupt and hatching a conspiracy to stop the CM’s yatra. He had said both these leaders have not only amassed huge wealth by abusing office, they were also involved in debauchery. This was the second letter of Ramgopal Yadav after the power struggle erupted in the party after Shivpal replaced Akhilesh as the State president of the party. October 23, 10 am: Ramgopal expelled from the party. October 23, 7 pm: I am with Akhilesh Yadav in the ‘Dharamyudh’ against political ‘dalals’ (brokers). Throw your weight behind Chief Minister Akhilesh Yadav so that he could be made CM for the second time after 2017 assembly elections. Claiming that Mulayam was his elder brother and political guru for whom he has all respect, but some ‘Asuri’ (Evil) forces have gripped Netaji. “Whether I am in the party or not, I will continue to support Akhilesh till he becomes the CM for the second time’’, said Ram Gopal Yadav. “I am not concerned about my expulsion from the party; the baseless allegations have pained me as they are without any substance and do not have even an iota of truth in it. Meeting leaders of other parties is not a crime and I had met Narendra Modi along with Netaji to invite the PM for a marriage function in Sefai,” he said in his letter. 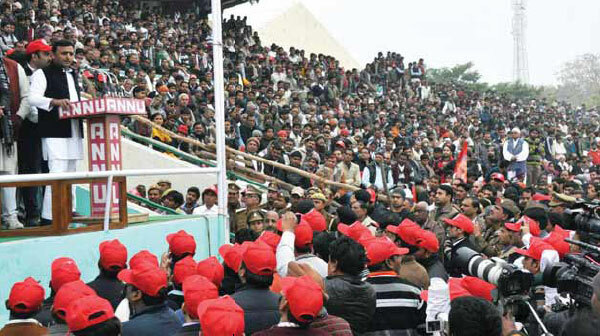 With the solid support of the Yadav community in the post-Mandal political evolution of Gangetic India, Mulayam Singh also crafted an unshakeable Muslim base by confronting the so-called “kamandal politics” and stood firmly against the BJP-led mobilisation for a Ram Mandir in Ayodhya. 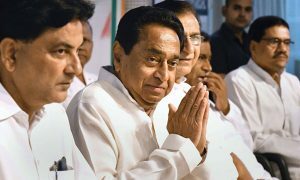 The M-Y alliance forged by him has stood the test of time, punctured only occasionally by the BJP, as in 2014 under Narendra Modi’s sweeping cross-caste appeal. The M-Y combine is not only numerically strong, but having tasted power and influence, is unlikely to fritter away its advantage. Akhilesh has tried hard to break away from the shackles of primordial loyalties and carve a forward-looking constituency to infuse dynamism into the party his father painstakingly built. But the pitfalls were too many, mostly within the family. The main question is, will the party split? Can Shivpal and Akhilesh work together after what happened on October 24 where chacha snatched the mike from bhatija’s hand and shouted: “CM is telling a lie”. The dichotomy prevails in the party. If Shivpal went to Delhi scouting for partners, Akhilesh is dead opposed to any alliance? “Why should we have any alliance with anyone? If we can organise our booth and sensitise workers, victory would be ours,” he told this reporter. BUT there is no one to listen to him because the government and the party are now working at cross purposes. What will happen if the party actually splits? In the event of a formal split in the Samajwadi Party, its supporters may get divided and benefit the BSP or the BJP or both. On several occasions in contemporary history, leaders have initiated a split in their own party only to reduce their critics to cipher and emerge victorious—Indira Gandhi did this twice, so did VP Singh and Charan Singh. Even the Communist Party similarly split in 1964 at the behest of what emerged as the bigger faction, namely, the CPI(M). There is no certainty that if he splits the Samajwadi Party, Akhilesh will return triumphant in the next election. 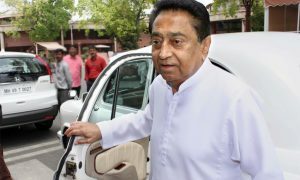 But one thing is clear: The UP Chief Minister has emerged a leader in his own right, fearless to take on all family stalwarts, including his father, in pursuit of his goal to take U out of the BIMARU tag.